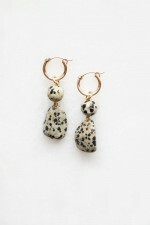 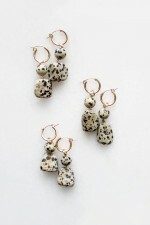 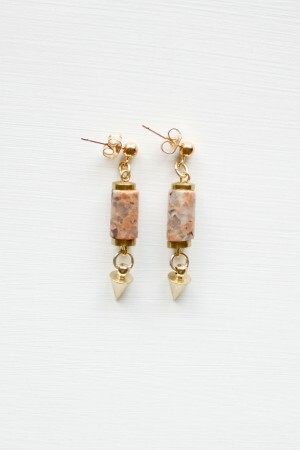 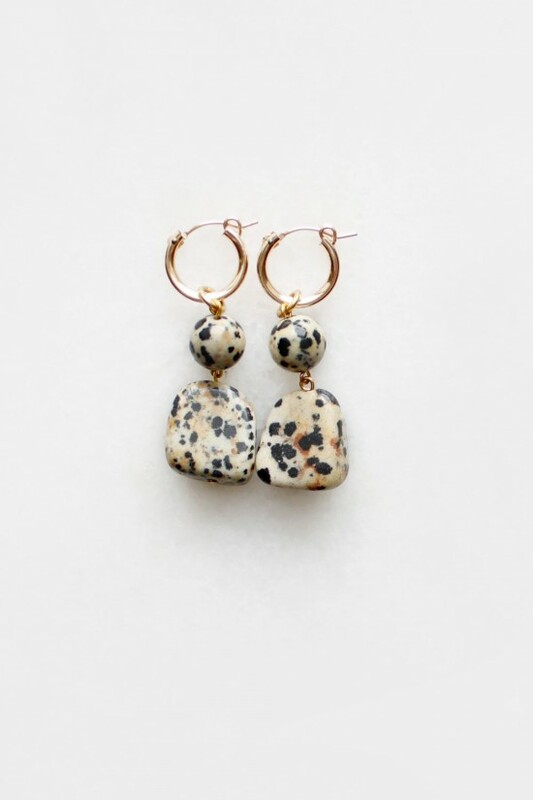 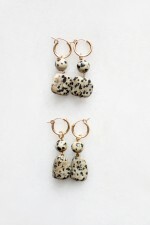 Gold filled hoop earrings featuring natural dalmatian stones. 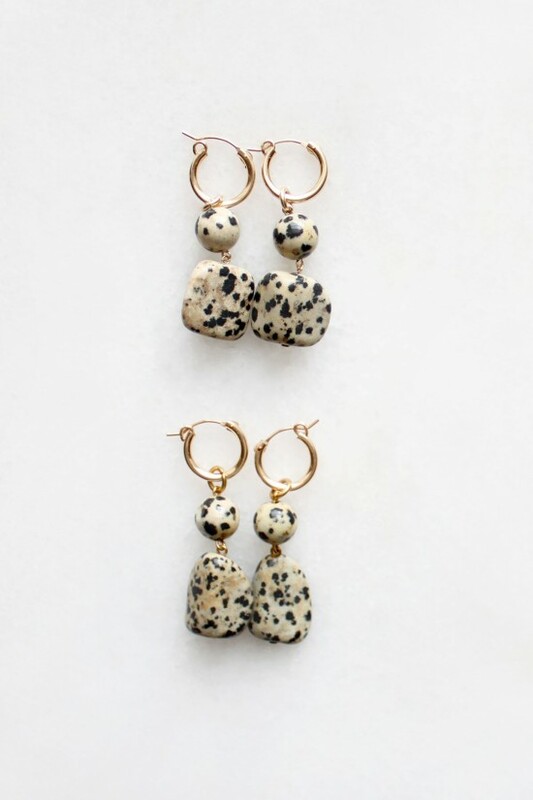 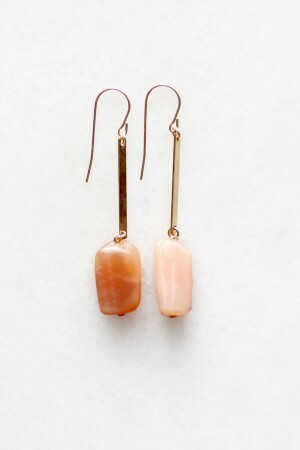 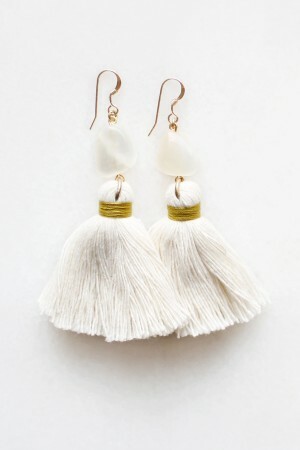 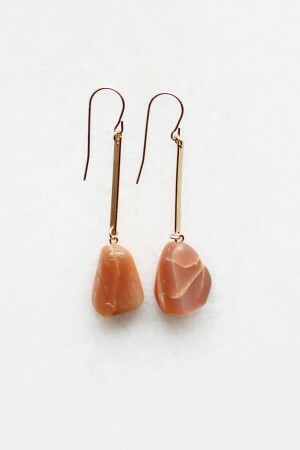 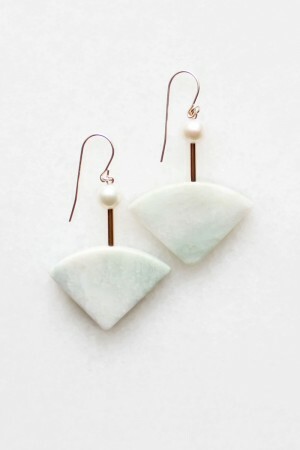 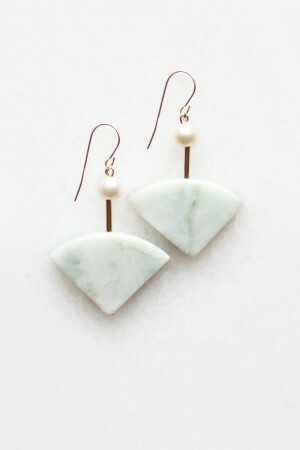 A versatile style that can be worn with or without the stone drops. Each dalmatian stone is unique and may vary slightly from those pictured. 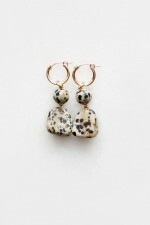 Total drop length measures approximately 40 mm.